Are you looking for a suitable location for an informal business meeting? Invite your business associates for a cruise on our boat. Private salon on the bow for 2 to 8 people. 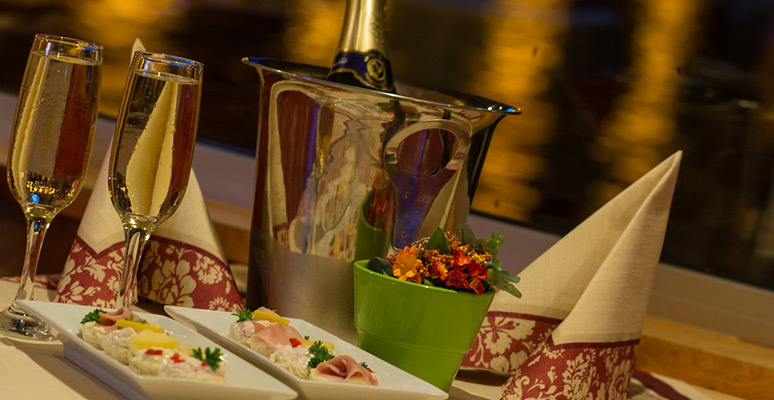 For more than 20 people we will prepare a tailored offer (buffet, beverage packages etc. ).